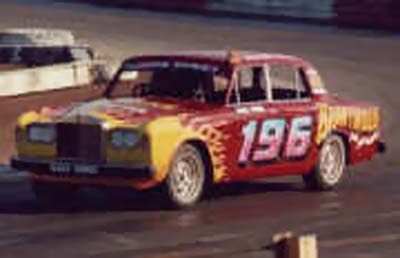 I previously wrote about Rolls Royce bangers, or stock car racing here. I still claim that it is so wrong. Here is the video of the race! The drivers include Dave Nichols, John Hendy and wait for it, Fifth gear presenter Vicki Butler-Henderson! More information about Rolls Royce Bangers is here. I always enjoy reading through your detailed blogs. I'm definitely with you on the banger racing issue you, so much so I don't go anymore. Two of those were dressed-up Mk2 Granadas. I think they are all Silver Shadows... There are some eccentric owners out there!